At Minstar Transport, we take great pride in our roots, which reach back four decades before the company’s founding in 2008. 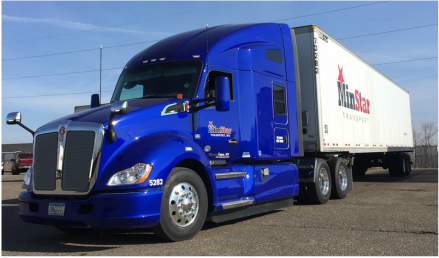 Trucking has been a long Miller family tradition, and that tradition is being carried on through Minstar Transport. Minstar attracted many of the drivers and office staff who helped build North Star’s reputation for quality customer service. This wealth of experience, along with fresh new talent, has enabled Minstar to grow successfully. We offer our core dry van services and established a specialized Double Deck Trailer system to an increasing list of premium customers. Today, Minstar combines the vigor and enthusiasm of a young company with the expertise of an established firm. We have earned the confidence of our customers, the pride of our workforce, and the respect of our competitors.